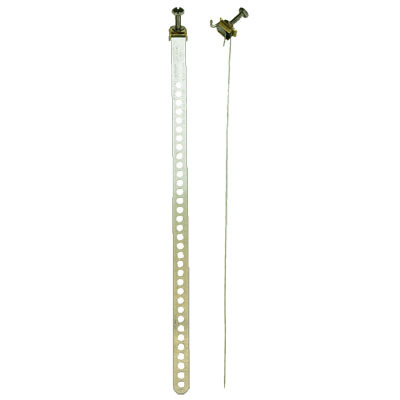 This 12” galvanized ground strap should be used in conjunction with other grounding supplies to protect against lightning strikes and power surges. It is UL/CUL Listed, has a 10-24 stainless steel 3/8” hex head screw, a brass grounding clip and a stainless steel hook nut. DIRECTV approved.